The new Kia Picanto, which goes on sale in the UK in the Spring, will benefit from four new super-efficient engines with low CO2 and fuel consumption figures. There will be three versions of the 1.0-litre, three-cylinder engine (petrol, flex fuel and bi-fuel) and a single 1.2-litre four-cylinder petrol engine, although it's not yet been announced whether all of these will come to the UK. Power outputs will range from 69bhp to 85bhp (with maximum torque between 94Nm and 121Nm) but the biggest news is that exhaust emissions have been significantly reduced, so that regular models in the new Picanto line-up will have a CO2 rating of just 95g/km to 105g/km. In the UK, some models will be available with Kia's ISG engine start-stop technology, cutting emissions to between 90g/km and 100g/km and further improving fuel economy. The engines will be mated to a choice of five-speed manual or four-speed automatic transmissions, depending on model. 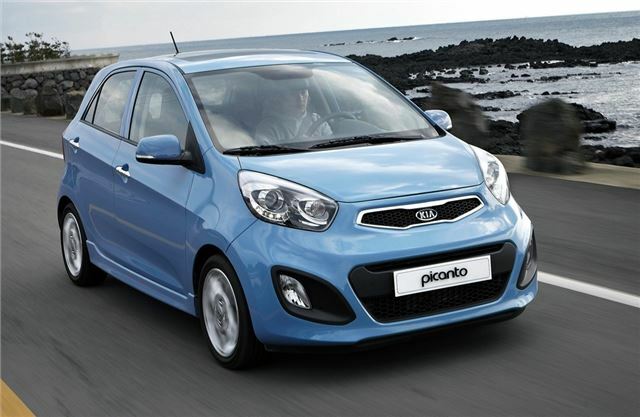 Set to make its global premiere at the Geneva Motor Show in March 2011, the new Picanto has been redesigned and re-engineered. Longer than the previous model, and with an extended wheelbase, new Picanto promises more passenger comfort and 27% increased cargo space. Offered for the first time with a choice of five-door and three-door bodystyles - the three-door will not arrive in the UK until the autumn. Kia is promising plenty of ‘large car' features like LED daytime running lights, button-start with smart key, grip-type outside door handles and six or seven airbags, depending on model. Prices will be announced nearer the on sale date.